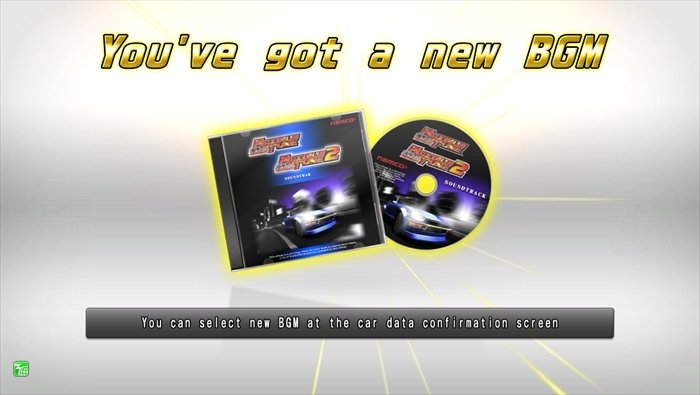 Held up to be one of the great points of the series, the music of the game is called Wangan Trance, created by one of the representative game music composers of Japan, Yuzo Koshiro. This game also includes new music by him. *Depending on your browser or kind of device, you might not be able to play the music. Background music (BGM) is assigned to each story in Story Mode according to its atmosphere. 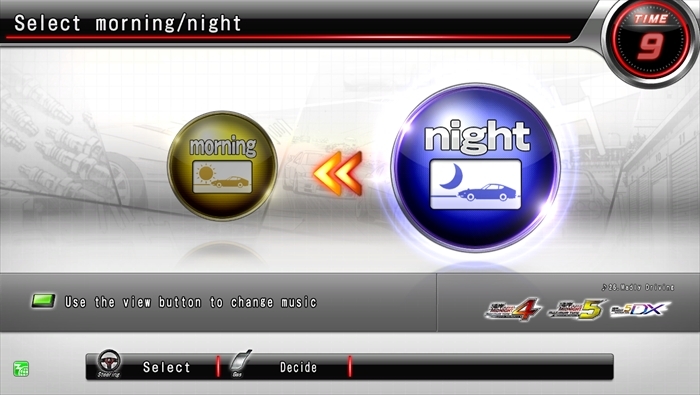 Select your favorite BGM on the period of time Selection screen by pressing the "Perspective Switch Button"(the green, square button) when the BGM selection window appears on the screen. 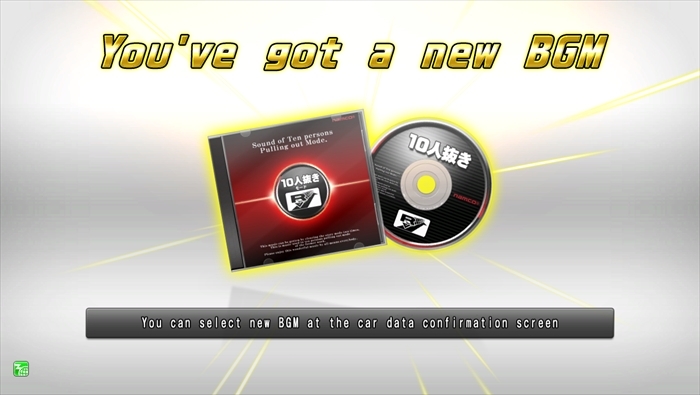 Special BGM Pack 1: Special BGM Pack 1: "Wangan Midnight Maximum Tune 3,3DX & 3DX Plus"
"Wangan Midnight Maximum Tune 3,3DX & 3DX Plus"
Special BGM Pack 2: "10 Outrun Mode"
「This is the BGM used in the "10 Outrun" mode for "Wangan Midnight Maximum Tune 3DX Plus". Many of these songs could previously not be heard in any other modes in the game. 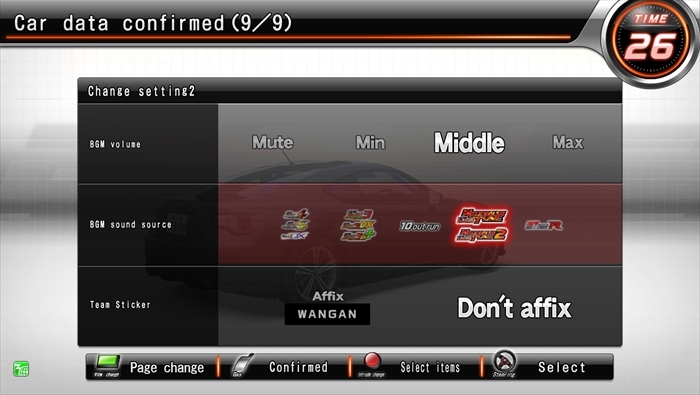 Complete the Story Mode once more after getting the BGM for "Wangan Midnight Maximum Tune 3, 3DX & 3DX Plus". 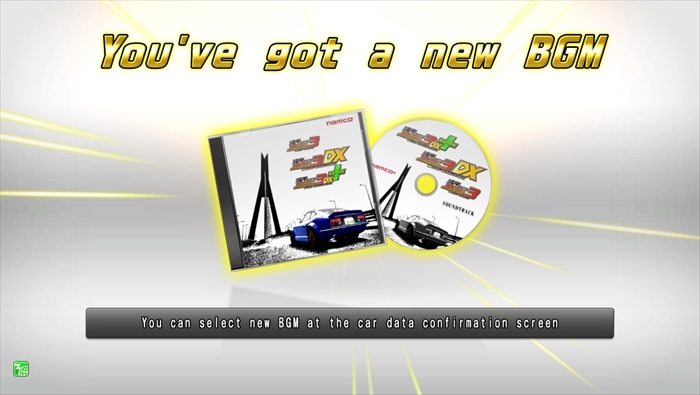 Special BGM Pack 3: "Wangan Midnight Maximum Tune 1 & 2"
"Wangan Midnight Maximum Tune 1 & 2"
This is BGM used in for the arcade versions of "Wangan Midnight Maximum Tune 1 and 2". This collection is packed with lots of tracks that are still very popular, and served as the starting point for Wangan Trance! 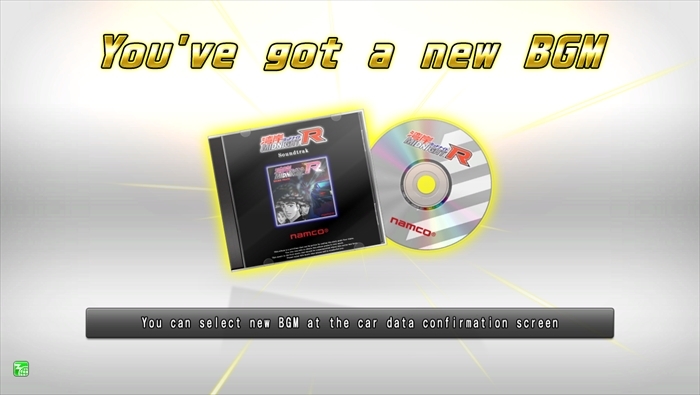 Special BGM Pack 4: "Wangan Midnight R"
After unlocking special BGM select "BGM" on the 9th page of the card data confirmation screen.